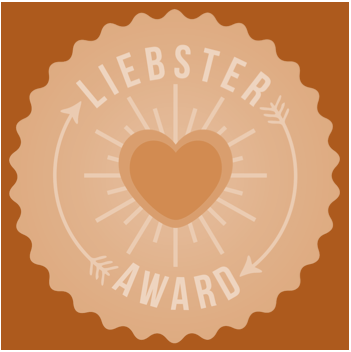 Look at that, I have just been nominated for my second Liebster Blog Award in as many weeks, this time by Becs at Tales from Tedium, who is new to blogging and has really jumped into the April A to Z Challenge with both feet (please, go check out her gratitude-themed posts–great food for thought). I’m honored to get another opportunity to share more about myself and to bring to light some other blogs you might have missed (but really, really need to see). I’d like to have a donkey, a duck, and a Herdwick sheep in my backyard. I’ve been a veterinary assistant, a picture framer, and a teacher. I am the spider-killer in my family. My houseplants are as dear to me as my pets. I have a recurring dream of witnessing a plane crash. I make a mean crockpot BBQ. In the past five years, I’ve travelled to 14 countries. Don’t tell my mom, but I once knocked her iron off the ironing board onto my brother’s head. I want to help build a house with Habitat for Humanity. I can crochet, but I can’t knit. I’m still not sure what I want to be when I grow up. ~If you had to pick your final meal what would you choose? Filet mignon smothered in a wine and mushroom reduction, a baked potato with butter and sour cream, a tossed salad with fresh-from-the-garden tomatoes, steamed broccoli, and yeast rolls with tons of butter. For dessert, a big bowl of chocolate ice cream and hot-from-the-oven chocolate chip cookies. ~If you could only have one book of fiction to read forever, which would it be? Message in a Bottle by Nicholas Sparks. And a box of tissues, please. ~Where do you most want to visit and why? Australia, because the scenery seems breathtaking, the people friendly, and the atmosphere relaxed. ~What is the best thing about blogging? It’s enabled me to find my voice again, and is challenging me to venture beyond just journaling and into dipping my toes back into fiction. ~Why did you choose to take part in the A to Z challenge? Well, I love a challenge, and this was structured enough to allow for some pre-planning/writing, but also open for each blogger to interpret in his/her own style. ~Have you preplanned any posts, Q or X or Z perhaps? I’ve thought about those “tough” ones, but haven’t gotten as far as scratching out any thoughts yet. ~When did you last enjoy live music, who played? I went to a small (I guess “intimate” is more flattering) concert by up-and-coming country artist Ali Dee. She was touring American military bases in Europe during February as part of the Armed Forces Entertainment program. Oh, lots of people. I’m influenced to be my best by all those I love and respect, and influenced to strive harder by strangers who’ve screwed up as well as those who’ve set an example to be proud of. ~Which three words best describe you? Sunny days, warm hugs, funny jokes, animals, my family, good books, blogging, long walks, the beach…the list is endless. ~How long did you take to choose your 11 nominations? ~Who is the most famous person you’ve ever met? ~Why did you start blogging? ~What is your most likable quality? ~What is one item you should really throw away, but probably never will? ~If you could be anywhere in the world this New Year’s Eve, where would you choose and why? ~Summarize your outlook on life in six words. ~What event in the next few months are you most looking forward to? ~If you had a $100 gift card to spend in any store, where would you choose to spend it? ~What cheers you up when you are having a bad day? ~What one piece of advice would you give to a new blogger? ~If you could create a memorial to yourself in a city park, what and where would the memorial be? we share some similarities. I also can crochet but am kni-twit-less. And once while playing doctor with my little sister, I x-rayed her belly with an iron….which had been recently used. I became a medical professional…go figure. I’ll go and look at some of those blogs soon, thanks. Thanks you for nominating me, I’d love to accept but I’ve already been Leibstered. I do appreciate being asked. Thanks.